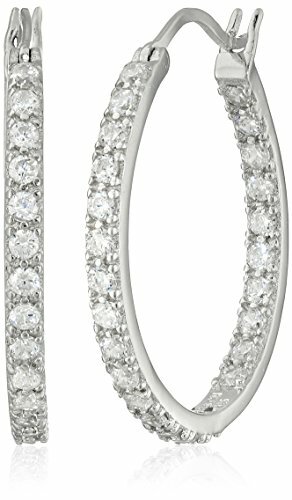 PRODUCT NAME: 14K white gold round brilliant cut CZ drop dangle long wedding earrings BRAND: COZLANE MEASUREMENT: Size: 0.5" Width * 1" Long Weight: 0.7oz MATERIAL: Real White Gold Plated Over Brass Base, Cubic Zircon FEATURES: 1. 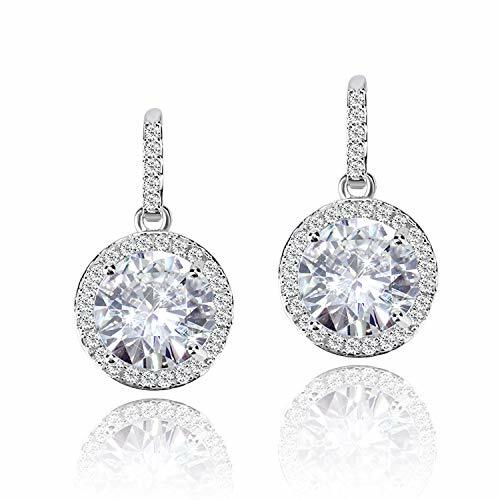 Stunning round shape-cut cubic zirconia create a beautiful sparkle long dangle earrings 2. Each Cubic Zirconia is Laser Engraved as a seal of authenticity and guarantees the highest quality diamond simulant in the world 3. 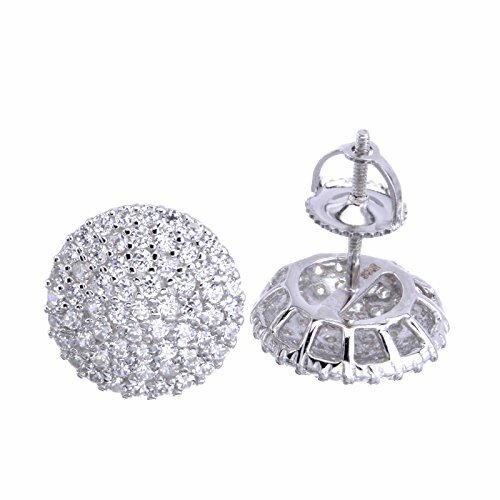 High Quality Luminous and Dainty Cubic Zirconia Earrings. Stylish and elegant, make you more attractive and charming. 4. 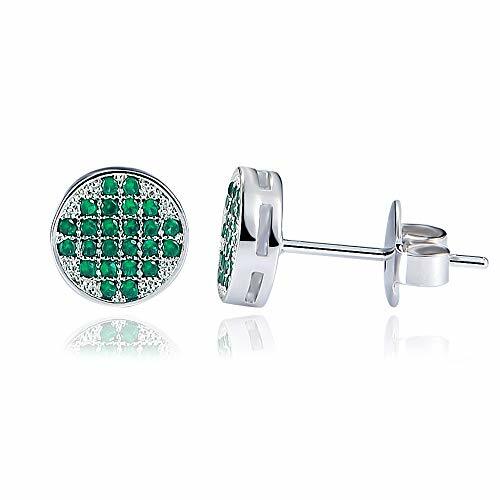 The posts of the earrings are made from 925 sterling silver, which will protect you from an allergy or skin irritation and allow women to wear them every day. Perfect for sensitive skin. Lead-free and Nickel free. 5. 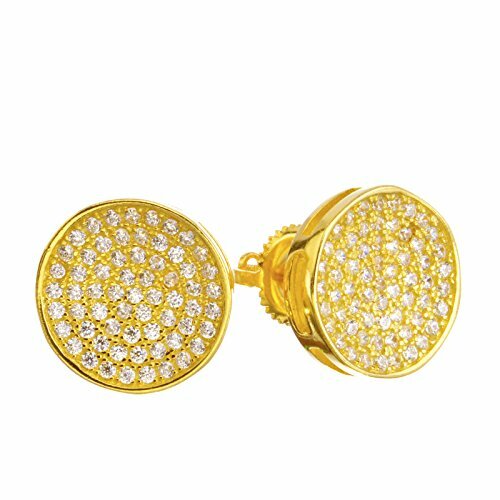 This jewelry design was manufactured with the highest quality standards. All efforts are being made to use sustainable resources and socially responsible providers. 6. 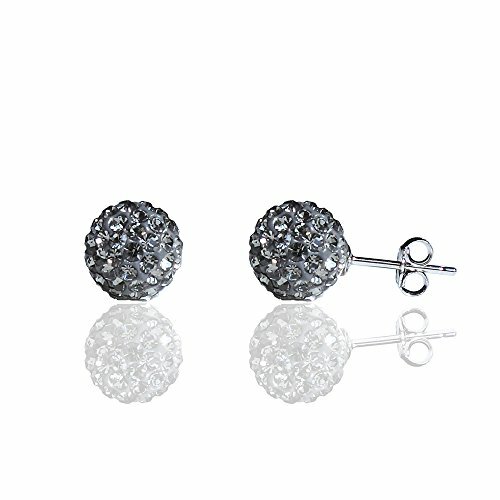 Gift Ready, Packaged In Elegant Jewelry Gift Box PACKAGE INCLUDE: 1 x White Gold Tone Round CZ Cubic Zirconia Long Drop Dangle Stud Earrings CARE TIPS: 1. Remove your jewelry before going to bed or participating in physical activity. 2. Avoid contact with perspiration, perfumes, cleaning agents, chlorine, salt water. Shining in 925 Sterling Silver, with a touch of crystal pave, it boasts plenty of our unique sparkle. 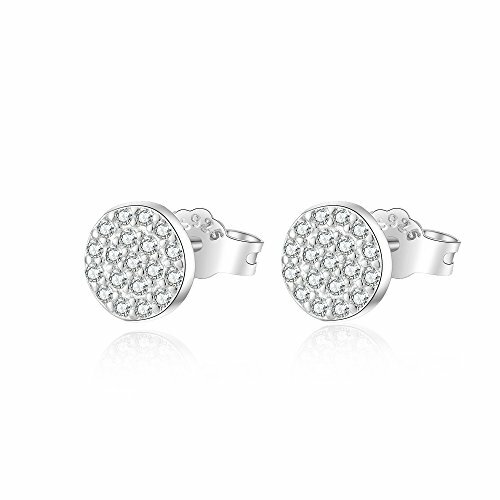 Ideal for everyday wear and easy to combine with other outfits, it would make a perfect gift. HONGYE is renowned by its classic and playful designs especially popular among gentlemen.They express loves by choosing meaningful HONGYE jewelry as ideal gifts for daughters, mother, wife,and friends for Christmas Day, Anniversary Day,Valentines Day and Birthday. HONGYE Jewelries are designed by France's top jewelry designers,leading the forefront of fashion design with high quality technology and hand inlaid - polished pieces. HONGYE JEWELRY absolutely a great choice for gifts that any lady would enjoy receiving, of course, it's also a great gift for yourself, because every woman deserves to look and feel beautiful. HONGYE JEWELRY do our best to make each customer happy through every piece of jewelry. WHY CHOOCE HONGYE JEWELRY? Beautiful and Delicate appearance. Truly elegant and breathtaking design looks gorgeous and amazing.Easy to match and suitable for any style of clothes. Great in detail and good for your personal jewelry collection. Perfect for all occasions: anniversary, engagement, party, meeting, dating, wedding, daily wear, etc. Best gift for your wife, girlfriend, mother and friends. NOTICE: Photos may have been enlarged and/or enhanced. 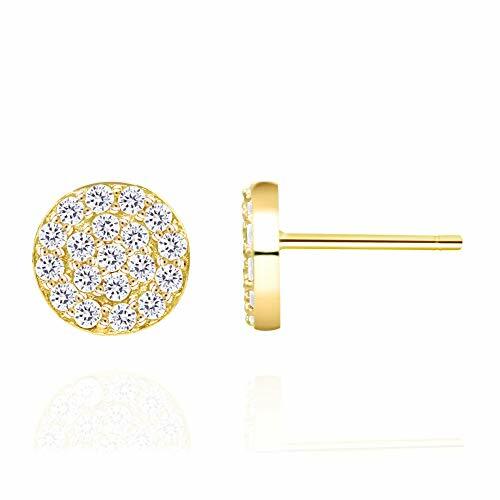 Red Diamond Earrings 10K Yellow Gold Round Pave Domed Circle Studs 0.90 Tcw. 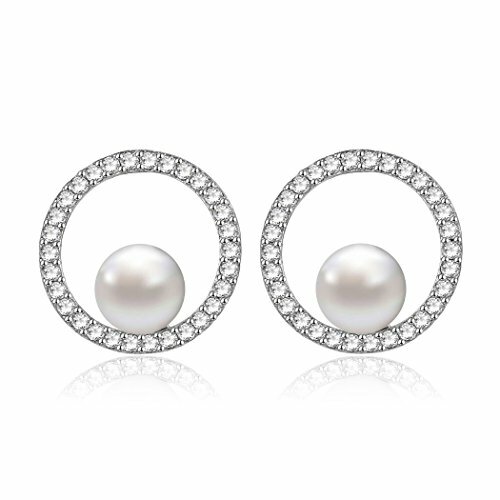 Shopping Results for "Pave Round Earrings"